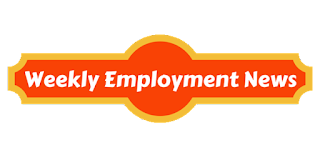 Employees State Insurance Corporation (ESIC) Kollam, Kerala has announced employment news for the post of Clerk and Stenographer. Applicants who are interested in this job may come for walk-in-interview on 29th October 2015. Education/ Qualification: For the post of Clerk candidate should be retired official from ESIC, Central/ State Govt. Organization, Public sector undertaking/ Autonomous bodies/ex-servicemen and for the post of Stenographer candidate should be retired official from ESIC, Central/ State govt. Organization, Public sector undertaking/Autonomous bodies/ex-servicemen. Candidate should be retired from the corresponding post; typing speed should be 80 words per minute in stenography in English. Candidate should be retired from the corresponding post. Procedure to apply: Candidates interested in this job may come for walk-in-interview on 29th October 2015 at 11:00 AM along with all the necessary documents at the address given below. The ESIC Model & Super Speciality Hospital, Asramam, Kollam.